Add some flair to your project bag with this handmade, handprinted graphic notions pouch from designer Tim Eads. 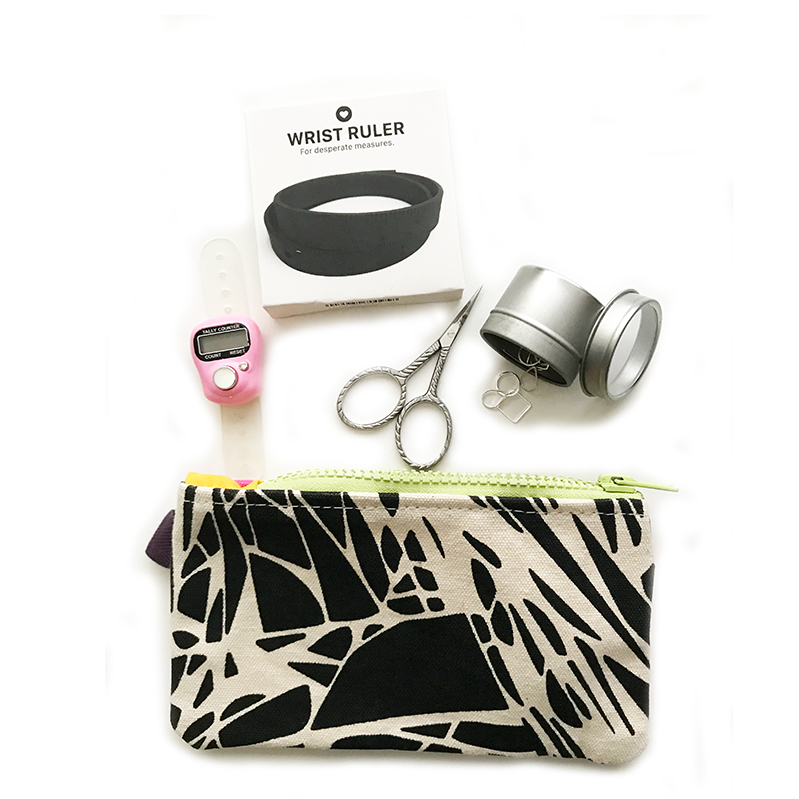 Inside, find unqiue and pretty tools to inspire you to be an efficient and organized knitter. 4x7 Graphic Zipper Pouch from Tim Eads. Bag print will vary and features a different print on each side. Sold individually, these products would total $52.